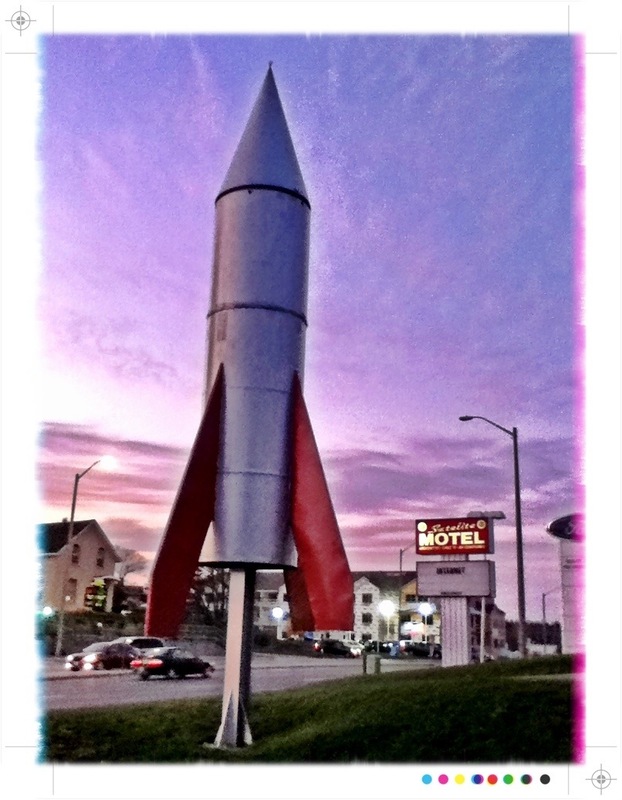 I love the naive optimism of this crude rocket sculpture that’s been on the Satellite Motel site for as long as I can remember. 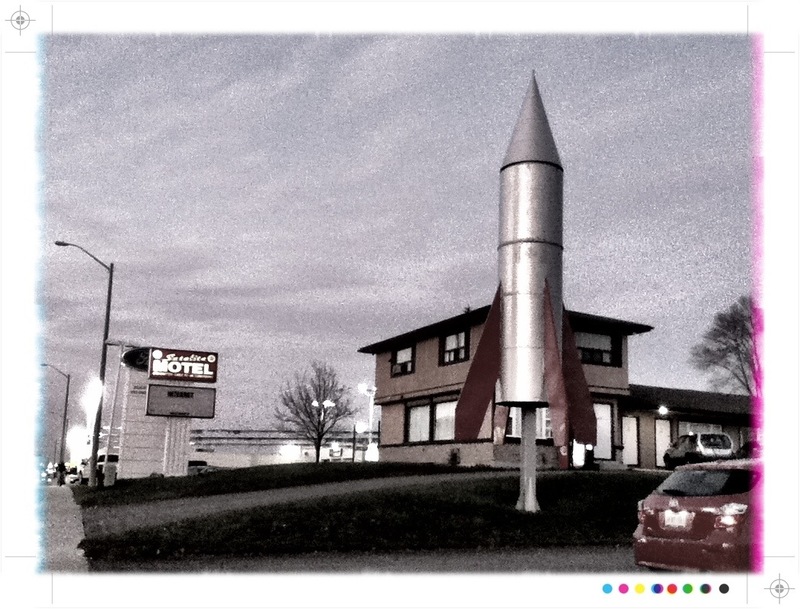 It captures the cold war worship of technology and the belief flying to the moon would somehow change the destiny of humankind. Wow, things sure have changed.